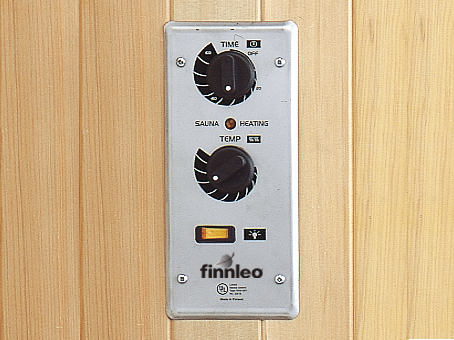 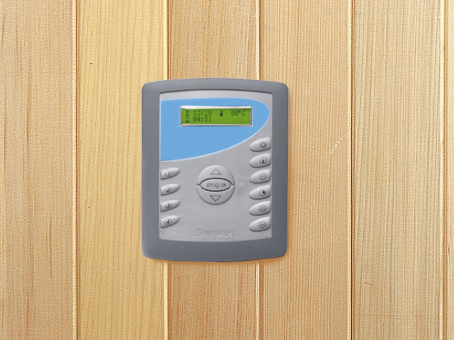 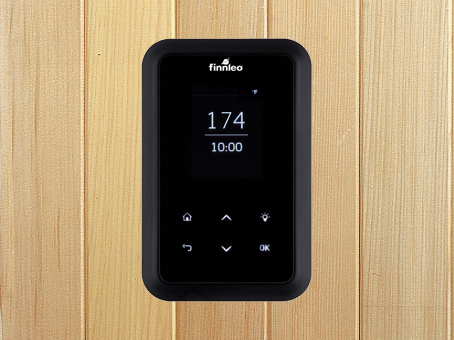 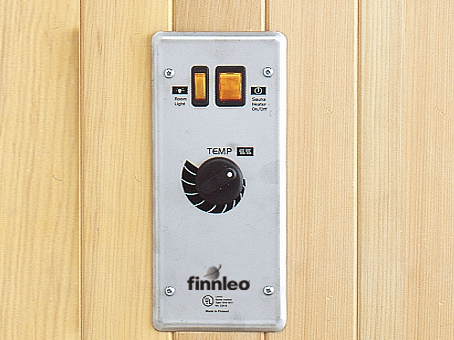 Sauna Controls- A wide range of options for wall mounted or heater mount. 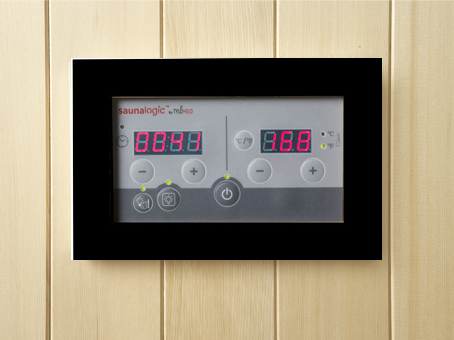 The sleek dark glass display panel and its soft glowing lights provide a contemporary look that fits well with high-end homes. 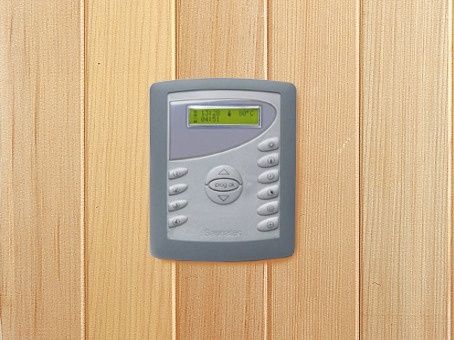 Control has 60-minute timer, thermostatic control, light switch, and heat indicator light. 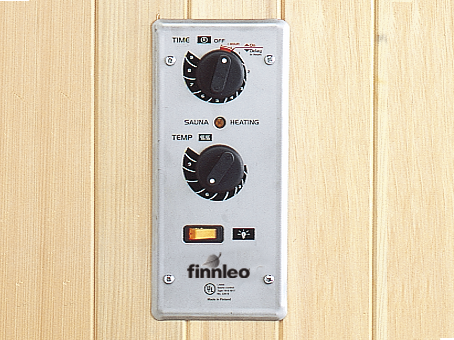 Use with “FSO-SC”, “Super-Finn”, or “Octa” Heater series. 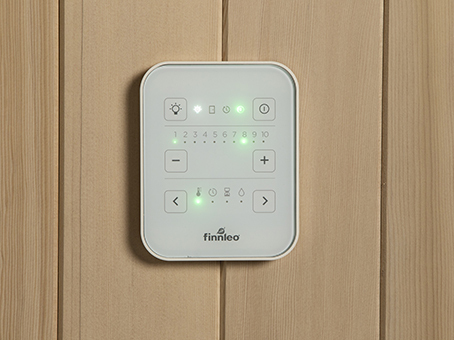 Control has 60-minute timer with 9-hour time delay (9” + 1”), thermostatic control, light switch, and heat indicator light. 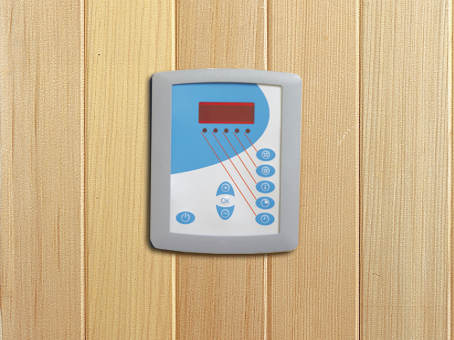 Control has On/Off Switch, thermostatic control, light switch, and heat indicator light.